Motor Trend Senior Features Editors Jason Cammisa and Jonny Lieberman are in a bind. 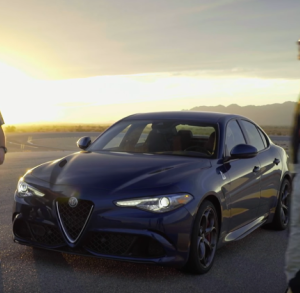 Before having driven Alfa Romeo’s first rear-wheel-drive sports sedan in 30 years, they didn’t know what its closest competitor would be. So they brought all of them: a 2016 BMW M3 Competition Package, a 2016 Cadillac ATS-V, and a 2016 Mercedes-AMG C63 S. After looking at hall-of-fame race car driver Randy Pobst’s laptimes around Chuckwalla Valley Raceway, they picked the strongest competitor to do battle with the Alfa. Then, the duo hit the road to see which is the best midsize luxury sport sedan.